Stability has always been a European priority. Arab despots were frequent guests of European leaders until 2011 and were praised as strong and competent statesmen. EU countries offered, undeniably, refuge to many human rights activists over the years, and pro-democracy rhetoric was always there, but it was stability and business first. The EU then surfed on the wave of the Arab Spring and showed support to the democratic awakening. Abandoning the newly-tamed Gaddafi or the reliable Ben Ali and Mubarak were actually risks taken by Brussels. However, the efforts spent to accompany the movement were limited. Additionally, the EU called on the autocratic Gulf regimes to fund the Arab Spring countries through the Deauville Partnership. It was a dead-born initiative that in fact increased these countries’ interference in weak and poor young democracies, such as Tunisia and Egypt. The fragmentation of EU foreign policymaking, moreover, has contributed in weakening Brussels’ position. The subsequent regional turmoil and its repercussions, i.e. terrorism, mass migration, and threats to European economic interests, has scared Brussels. The ensuing rise of xenophobic, racist, and populist politics in Europe has added pressures on EU politicians. For them, stability is now in, democracy out. Yet that is a short-term solution, not a strategy. Thus formulated ex nihilo there is no easy answer to a question that most people in southern rim Mediterranean countries will perceive as conceited. There may be no universally accepted definition of human rights, but all human beings crave rules of governance that afford them dignity and the means to live and work within a legal framework that is respected by all, notably servants of the state, such the police and the courts. There can be no stability or legitimacy for a state and its rulers if they fail to respect human rights. Because states in the MENA region fail to respect human rights, most enjoy neither stability nor legitimacy. People in the MENA region see European leaders as hypocritical, heaping praise on authoritarian rulers for respecting human rights—which flies in the face of the reality people endure daily—only to better defend their economic and geopolitical interests. Europe often mistakes demonstrations in MENA countries and Iran as a call for regime change, when in reality they are simply desperate calls for dignity and jobs. So long as hoghra—a Maghrebi word that describes the arbitrary contempt the state shows toward its citizens—prevails, there can be no legitimacy, hence no stability. Formulated out of a broader political context, there is no answer to the question. Yes, the EU is a fair-weather friend to human rights: emphasizing them when there’s little risk, de-emphasizing them when interests come into play—often when it is in the interest of individual member states not to raise issues, primarily for commercial reasons; or when EU foreign policy chiefs, such as Federica Mogherini, have their own ideological blinders. In her three-year tenure, the EU’s high representative has visited Cuba three times, and Ukraine once, in 2015. When it comes to Russia and Iran, she has remained oddly silent on human rights and democracy issues. Traditionally, member states have left human rights to the EU. As weak as the EU has been with regard to human rights and democracy in the past several years, it was far better than that of the member states whose foreign relations were dominated by commercial interests. The high representative could deal with indelicate matters, such as human rights and despotism. A gas pipeline or selling turbines to Russia; energy deals with Iran; or a hefty Airbus contract with China was business—not foreign policy. Member states prefer to leave the dirty work to the EU to remonstrate to countries about human rights. It represents the full force of the bloc. Thus, it is all the more inexplicable that human rights, democracy, as well as other uncomfortable foreign policy issues are on the EU’s backburner, be it in Cuba, the Donbas, Russia, or as currently in Iran. The disdain for principles and values that has become apparent in international relations doesn’t upset the spectators any more. Add to that the very different treatment that countries get from one another: Egyptian President Sisi—the putsch leader—is a valuable ally, so French President Emmanuel Macron refuses to talk to him about the massive human rights violations in Egypt. In contrast—and with a total lack of consistency—the same Macron rightly raises the issue of human rights violations in Turkey with President Erdoğan. Realpolitik is a concept that is being distorted by the Western powers to disguise a kind of complicity with the southern dictatorships, as is happening with Egypt and Algeria or, soon, Syria. The pretext is always the same: stability and security. To hide behind this pretext is a throwback to earlier decades and shows that the lessons of history have had no impact. It is a misguided vision that will end in absolute failure. To support dictators on the doorstep of Europe will have severe repercussions. Dictatorships, which often go hand in hand with endemic corruption, cause impoverishment and frustration. This will push young people into exile or toward radicalism. Even highly intelligent people may consider fallacy as cogent. This kind of logical error does not imply a lack of brains but it is a consequence of a lack of judgment. The EU acts in the sphere of foreign policy, security, and democracy support, often seeming to use a false logical sequence of judgements and thus ending up with wrong conclusions. As a result, the EU bureaucratic machinery often seems to be employing cleverness to justify morally questionable behavior. The immense question remains: If this is being done intentionally or unintentionally? In his dystopian novel Nineteen Eighty-Four, George Orwell called this particular lack of cognitive dissonance “doublethink.” Applying this to our question, we observe similar phenomena when stabilization or economic support is equated with democracy or human rights support. It may have an origin in a false premise that economic growth makes the society more open and leads to a greater observance of human rights. Hence, we justify increased trade and even direct budgetary support to regimes. Putting human rights first would require putting the person before the system. If we get this right, stability, peace, and prosperity will follow. Nowadays, stabilization versus human rights is a global issue—not just an EU problem. China and Russia have always been far from the objective of protecting human rights. While the Arab revolutions of 2011 sprung out of popular hopes that respect of human rights and the rule of law would become the norm, most post-revolution countries are in a dismal situation from this standpoint, in particular Egypt, Libya, Syria, and Yemen, to name a few. For its part, Turkey has moved so far away from the human rights and rule of law objectives it subscribed to in its bid for EU membership that accession is unthinkable under today’s conditions. Meanwhile, the United States, under the motto “America First,” is gradually abandoning its role as democracy and human rights promoter around the world. The EU is the last remaining promoter of human rights, but it is faced with several issues: it has its own “dissenters,” such as Hungary and Poland, in particular, which are challenging the norms to which they subscribed when entering the union. This trend weakens the EU’s credibility. In addition, since the Lisbon Treaty has become reality, there is a distinct return of bilateralism, which of course privileges transactional relationships with third countries based on trade, finance, and security interests. The accompanying weakening of the EU institutions’ role in foreign policy leaves the EEAS and Commission with little to say on human rights matters. In this respect, President Macron’s recent diplomatic activity with Turkey and China are cases in point. It is a bleak season for international human rights. Russia and China lead many countries to a total disregard for freedom, justice, and tolerance. America seems oblivious to a fair agenda of promoting international respect for human rights. The UN is, as usual, locked in by vetoes and dictatorships presiding so-called human rights forums. Europe must adapt to this very cold winter. Who will spearhead the EU crusade defending the oppressed? Bureaucrats in Brussels? Juncker? Eastern member states facing a populist wave of disregard for the rule of law on their own countries? Austria, with a popular majority rejecting any compassion for migrants? Merkel, if and when she eventually musters a cabinet? Macron may release a few well-meaning statements, but realpolitik is the name of the game. In 2018, Niccolò Machiavelli will be more powerful than Altiero Spinelli. The European Union is slowly learning geopolitics. 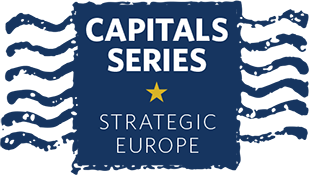 Its Global Strategy, released in 2016, started this shift when it underlined the importance, for its external action, of supporting resilience among Europe’s foreign partners. While still emphasizing its commitment to the promotion of human rights, the union was recognizing the constraints of international relations where the need to talk to all important actors, whatever their political colors, remains an unavoidable reality. There is no point in freezing all contact with unpalatable partners to the risk of being deprived of any leverage. Diplomacy is about discussing—even with unfriendly partners—to avoid being sidelined. Does this recognition imply a new cynical touch for Europe’s foreign policy with its values left in oblivion? It rather sets a new course for the defense of European values with less public lecturing and more concrete action on individual cases of human rights violations, less posturing, and more result. The choice is not between stability and principles as there is no option there: both are necessary. It is about finding the right balance between these two indispensable components of any decent and effective diplomacy. There are multiple reasons for the EU’s caution over democracy and human rights, rather than a simple dichotomy between these and stabilization. There are many genuine and judicious reasons for sometimes adopting a low profile on democracy and human rights: rights interventions can easily backfire and in most countries the EU simply does not have the power to make a decisive difference. Of the many factors that explain the limitations to EU human rights policies, not all are the fruit of calculations over stabilization. Yet, conceptual clarity is lacking. While EU strategic documents have long argued that supporting democracy and human rights is the best way to produce stabilization, the Global Strategy does not clarify whether its “resilience” leitmotif reinforces or challenges this assumption. De facto, EU human rights efforts seem to be dividing into two dynamics that correspond to different kinds of stability or stabilization. In many conflict scenarios the EU implements democracy, governance, and human rights initiatives in pursuit of stabilization. In these contexts, especially where state institutions have largely imploded, the EU and member states habitually rollout laudably innovative initiatives to enhance local rights-protection and participative community decisionmaking. Where strong authoritarian regimes appear firmly ensconced in power the story is different. In these instances, the EU is fast reverting to equating stability with smooth diplomacy. This is despite all the evidence over many years that the EU’s own interests invariably suffer from this elision. The EU and its member states are increasingly criticized for not keeping human rights high on the agenda and not reacting to crackdowns fast and strong enough. These criticisms have merit in the context of increasing securitization in their relations, especially with the Middle East and North Africa. However, such criticisms should pay attention to two points. First, major protests or crackdowns tend to bring intense political and social polarization. In addition, as we witnessed with recent protests in Iran (but also widespread elsewhere), conspiracy theories claiming a foreign hand in antigovernment protests are not only embraced by the government, but are also widely held by the public. The reactions that face the government have the risk of pushing the EU to one side (rendering its claims inaudible to the rest of the country), make the protestors more vulnerable and even put them at risk of being accused of espionage. Second, the statements of political leaders and the mainstreaming of human rights in foreign policy are of course important. But on this point, responsibility falls as much to business leaders and economic actors as to political leaders. Human rights can only be achieved with long-term and all-around efforts. The "EU" has long ago got divorce from Human Rights opting for the bankers against the people and their fundamental Human Rights (esp. the right to private property regarding bankrupt member-states and the right to collective bargaining). Therefore, one more step against civic, political, social and collective Human Rights shall not be a surprise. There is much disagreement on political priorities. In the West some say it's realpolitik, others say it's Asia-Pacific versus Indo-Pacific. Yesterday, at a summit in Rome , the leaders of Cyprus, France, Greece, Italy, Malta, Portugal and Spain said EU citizens should have more say on EU policy to combat populism. In the relatively unpoliced global economy, Beijing seems to want socialism with Chinese characteristics. Interestingly, Western leaders are complaining less and less about its human rights record; this may no longer be an important factor. I perceive a striking difference between comments from Eastern and Western European members of EU. The first are grounded in reality and mention real dangers (see Estonian rep). The second deal with generalities and general complaints. Clearly, the Easterners are level-headed while Westerners come off as hypocrites, mostly.